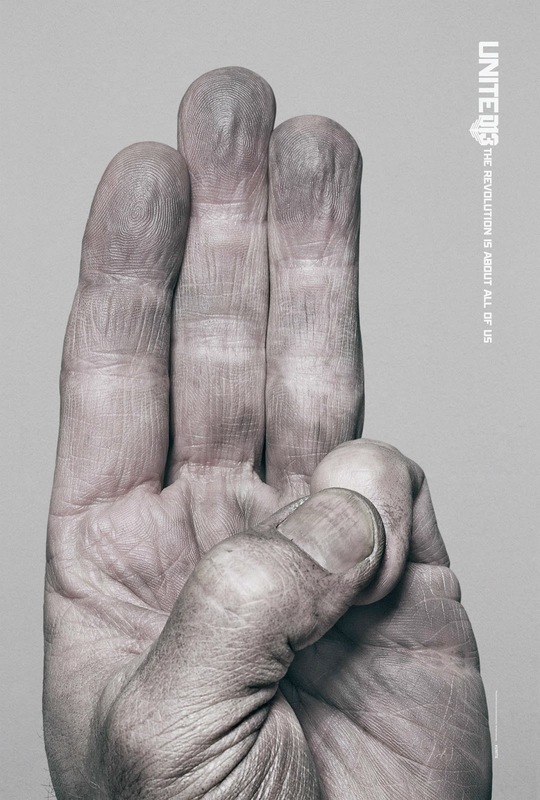 UPDATED: Following on from the epic reveal of the 'Unite' billboards around the globe yesterday, Lionsgate have released this set of six poster versions of these billboards, featuring six different hands doing the iconic three-finger salute. 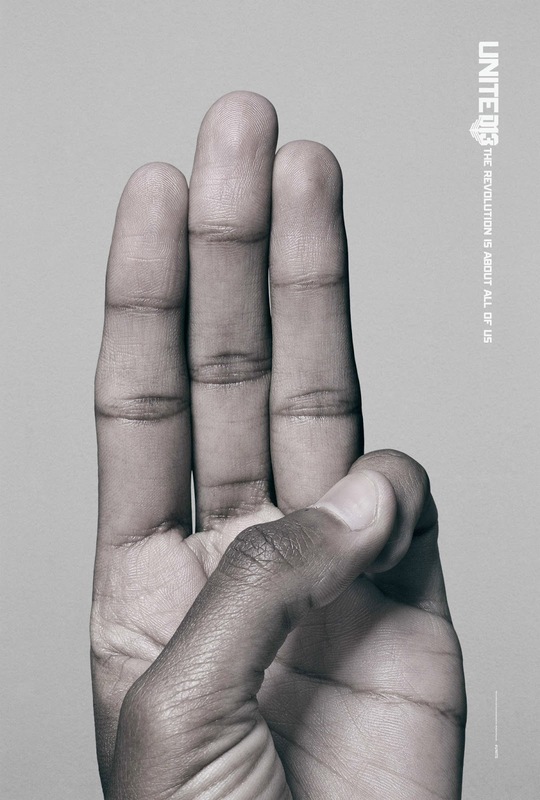 According to AdWeek's feature on yesterday's global billboard launch, "[the] saluting hands...don't belong to the cast...or even to professional models. 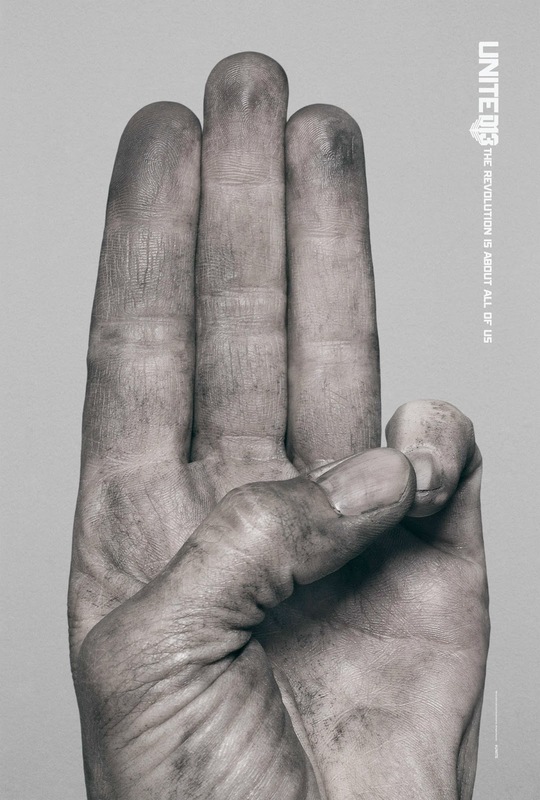 Rather, they're regular people of varying ages, genders and ethnicities found through personal connections and photographed by Lionsgate CMO Tim Palen, [Lionsgate Theatrical Marketing SVP Doug Lloyd] said. 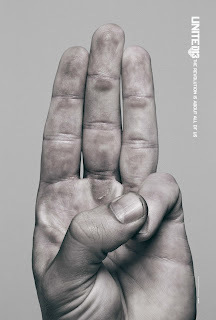 The goal was hands that represent real people, Lloyd said." 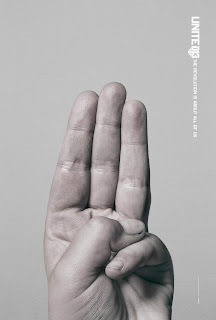 Seems this is indeed this year's equivalent of the District Heroes posters from last year's campaign. What do you all think of yesterday's billboard launch and today's posters? Let us know!